Strong enough to withstand the massive loading of a heavy swath at a high speed. 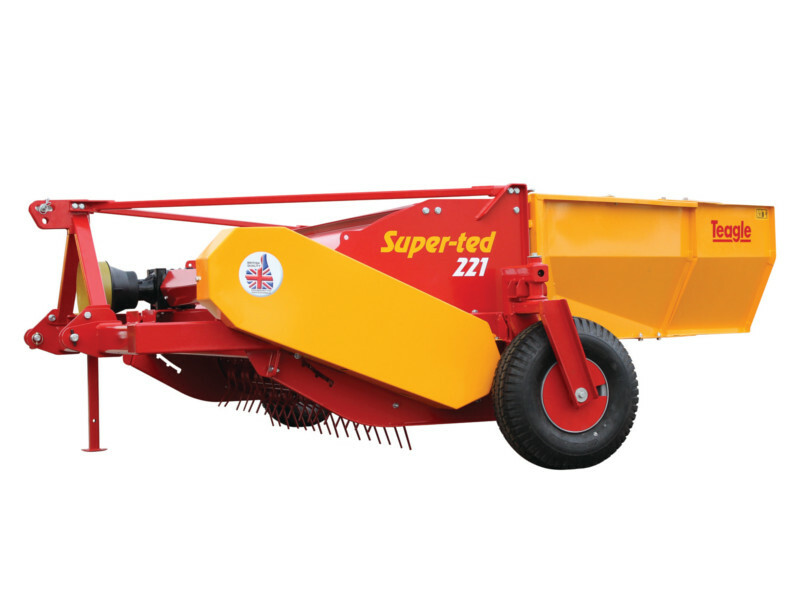 The Super-ted 221 has a 2.2m. wide pick-up and is suitable for silage (will do two 3m. swaths side by side), straw from all modern combines and hay. Find out more about the features that make the Super-ted stand out from the crowd. Door extensions are an option on the Super-ted 160 to enable greater control of crop placement.